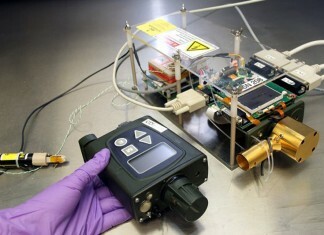 Scientists at the U.S. Army Edgewood Chemical Biological Centre (ECBC) at Aberdeen Proving Ground assisted by the original equipment manufacturer (OEM) Smith Detection, demonstrated recently how a standard chemical agent detector can be hacked into an explosive material detection sensor. The modified device can already detect roughly a dozen compounds including TNT, RDX and EGN. Future efforts could increase the number of detectable compounds.